Donors don’t give to us; they give through us. CRC has a very special relationship with Tim and Ronald from Progressive Directions. They’re our friends, our collaborators and our delivery boys. 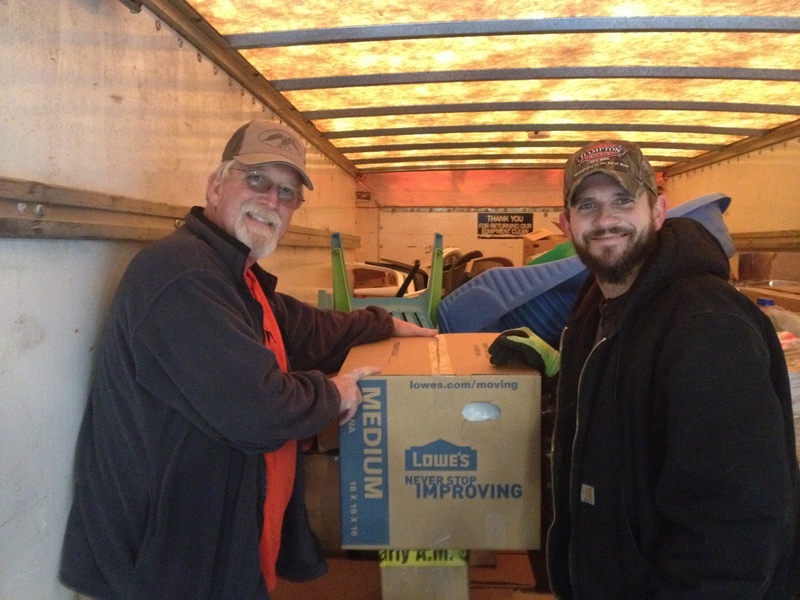 Every month or so, Tim and Ronald drive the Progressive Directions truck down from Clarksville to make a pick-up at a major retailer that donates to CRC. We keep most of the household goods; Progressive Directions gets all the food and whatever else they want from the haul. But it doesn’t stop there. Mana Cafe Ministries, which feeds low-income families and the homeless. Grace Assistance Program, which helps the poor meet basic needs such as food, utility bills, temporary emergency shelter and transportation. Good Samaritan Ministry, which provides medical and dental services to the uninsured poor. Progressive Directions itself used those donations in their residential programs; in its Early Intervention program, which serves preschool children with developmental delays; and in its Buddy Ball program, a special needs athletic league. That’s a lot of love shown to a lot of people far beyond the dock doors at CRC World Headquarters.